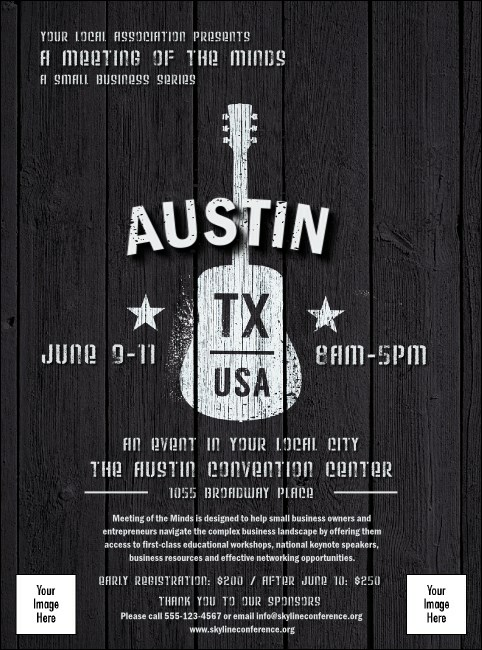 Get the attention of as many Austinites as you possibly can when you print Austin Music Flyers and advertise your next festival or live music event in advance. Increase your Central Texas event attendance with Flyers that feature an artful black and white background with a wooden texture and room to upload two of your own images. TicketPrinting.com helps you advertise with Southern charm.